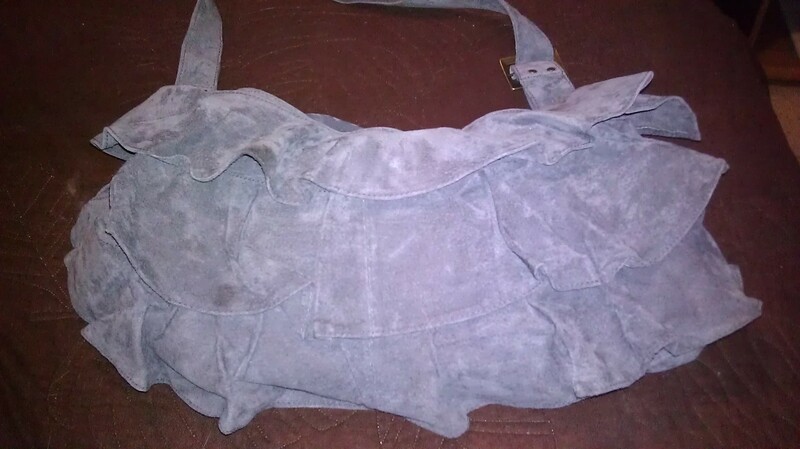 The bag: I switch my handbag as often as my mood but for now I’m using the suede ruffle bag by Jane Lizden. This bag is super soft and it’s washable. 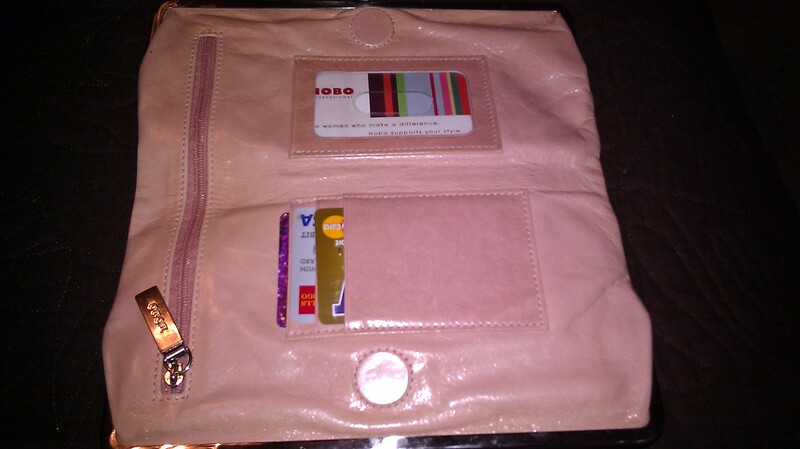 The Wallet: My wallet is by HOBO International and the style is “Lauren,” I love how sleek it is and all of the compartments in it. 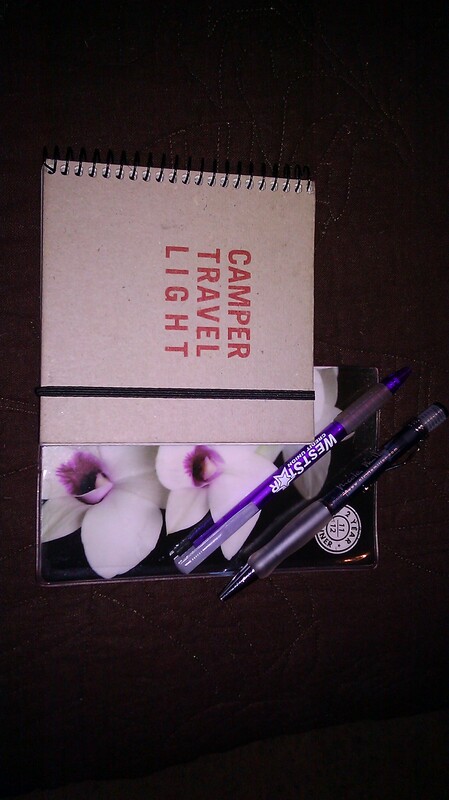 Notebook, mini planner, and pens are always a must. 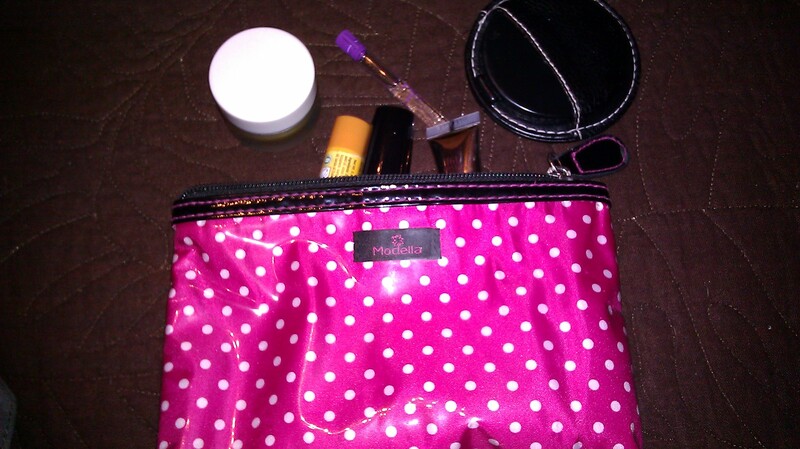 Make-up bag with several glosses, chapsticks, perfume vial, eye drops, and a mirror. 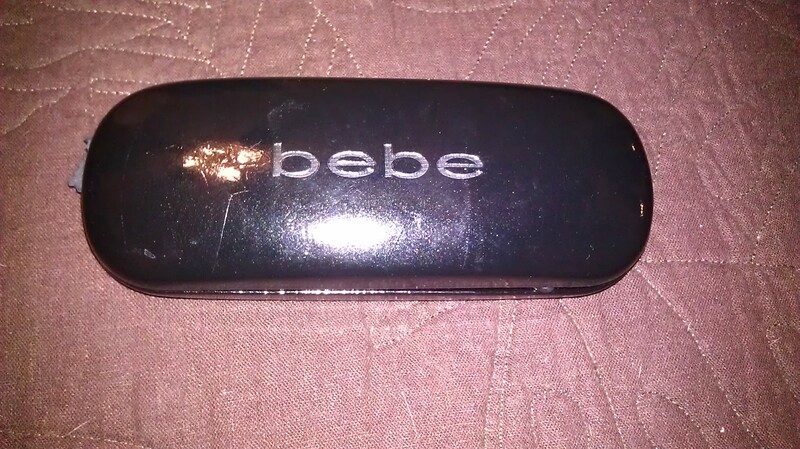 Bebe eyeglasses: My vision is pretty good but I need them for driving at night and to see far away. 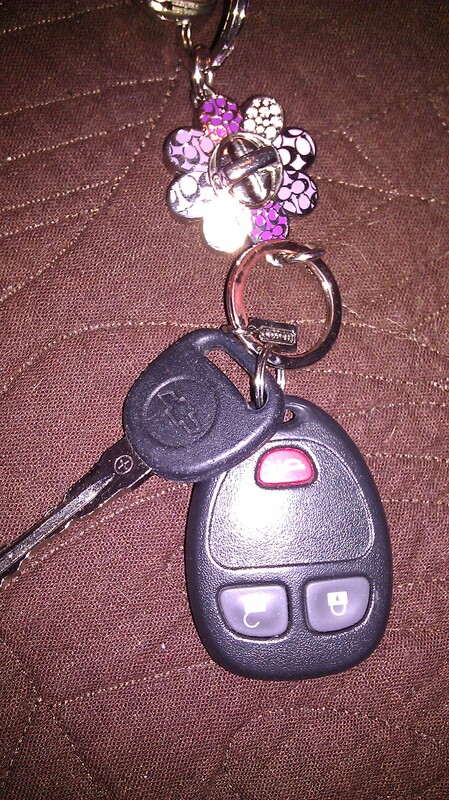 My keys, the adorable key chain is from Coach and the flower splits into two pieces in case I need to separate my car keys from my house keys. 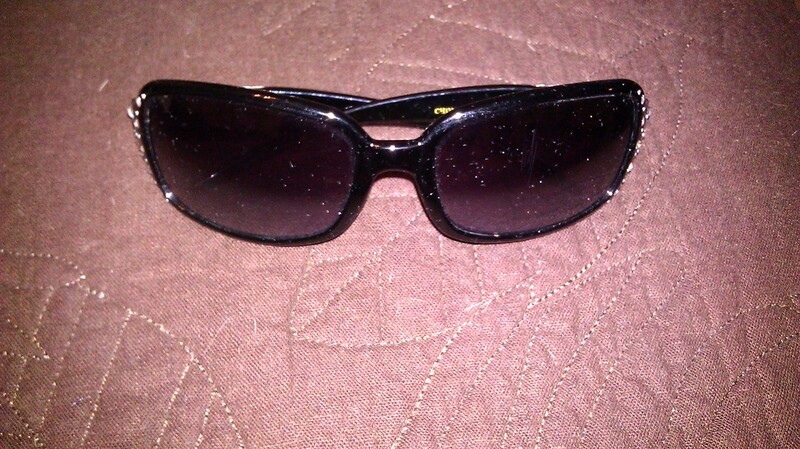 Sunglasses: They are a must in the Las Vegas heat. 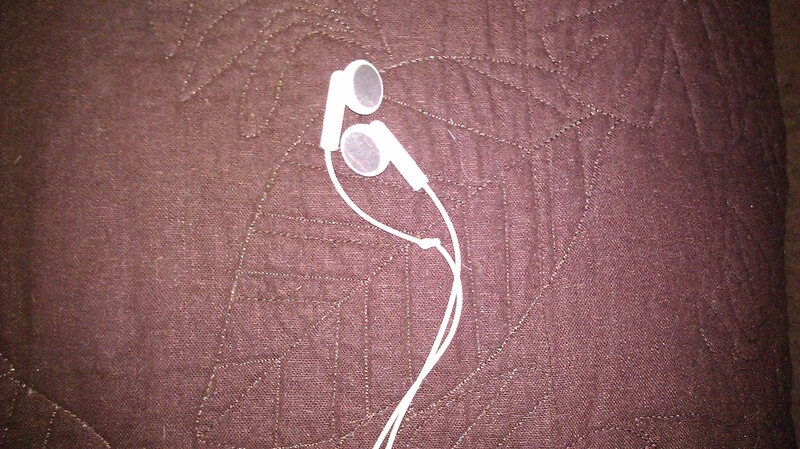 These are D&G knock offs, I’m too cheap to by high-end sunglasses for some reason. 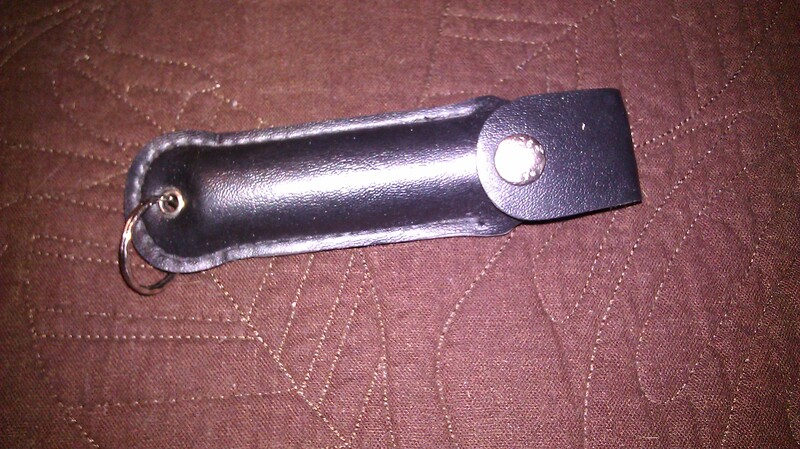 Pepper spray: A girl has to be on guard when walking to her car at night right? Wen hand lotion, mints, and a nail file. Well there it is! 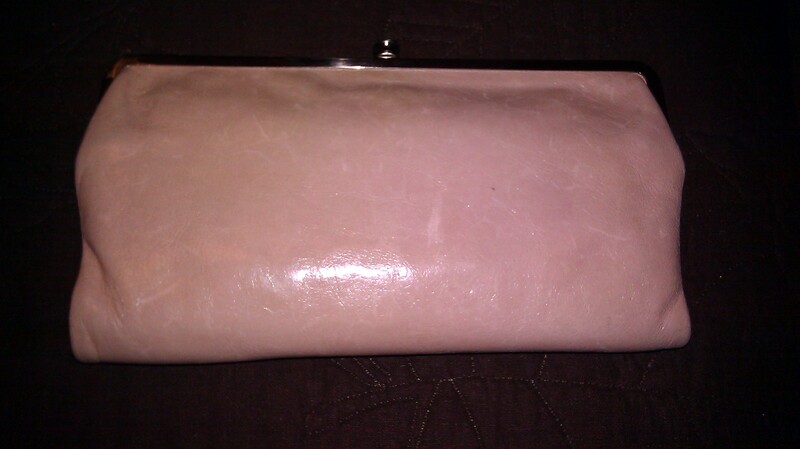 What’s in your handbag?